Hit the road or trail carrying everything you need for basic repairs or adjustments in one handy, compact case. 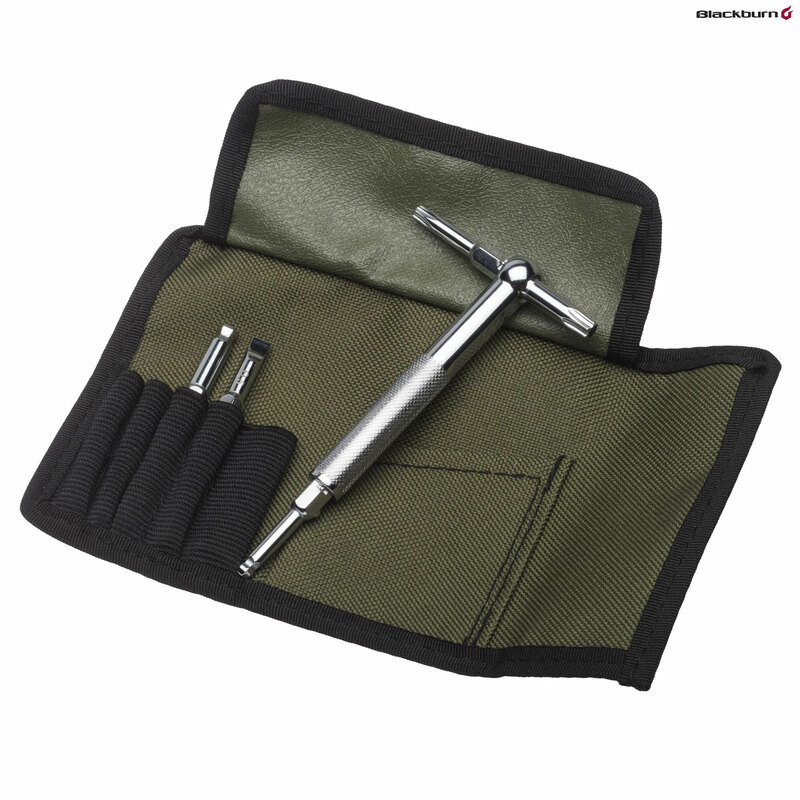 This tiny, yet super functional kit includes T25 and T30 torx bits, 2.5, 3, 4, 5 and 6mm Allen bits and a flathead screwdriver. Individual T or L handle tools let you access tight places and give you leverage on bolts and screws. Practical And Novel Take On The Multitool. ConsPouch could be more generously sized. ProsIndividual, rounded keys. Lightweight. Pouch can hold further items. The Blackburn Switch multitool contains the allen and torx keys required for basic road-side maintenance. These can be manipulated with the handle in either a T or L-configuration. All are held in a sturdy, folding pouch with strap. Aesthetically, the Switch is a delight and it's fabulously easy to use. The case has a slot for cash and credit cards and can hold a few more tools, such as a spanner or two with ease although it's a struggle to include, say, tyre levers, a chain splitter, etc. I appreciate the fact that each item is separate allowing versatility not normally found with a bulky, folding multitool. What sold the Switch to me has been the rounded allen key ends which allow their use at slight angles. This is a good value product but you will need to supplement it with further items, some of which won't fit inside the pouch.